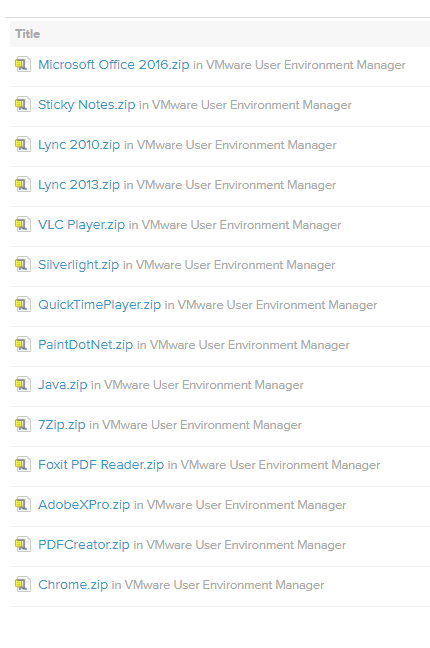 As you can see there are not a whole lot yet but I am sure that VMware hopes the community will add templates. Templates seem like Meh but are very valuable to customers. RES ONE Workspace has hundreds of templates that are maintained by a dedicated team and they are very much appreciated by RES customers. This location can easily be found; just go to your UEM management console and push the “configure” button. 3. After you copy the UEM Configuration files, you can go back to the UEM management console and push the “Refresh Tree” button. The downloaded UEM configuration files will then show up in the folder where you copied them. 4. That’s it! From now on, settings will be saved for your users when they log off their session or when they close an application, if DirectFlex is enabled.